There are so many tools out there that can help you Market your business Online, it can become very intimidating. They range from free to expensive, let me help by narrowing them down to the top online marketing tools. Twitter has become a fast and quick way to get the information that you need. It is also a great way to promote your business and gain exposure for your brand online. Crowdfire helps you organize your followers and the people you are following, providing a platform that keeps your business legit. To sign up is free, if you want more accounts it begins at 3.99 a month and goes up according to the amounts of accounts.. I love their app, it has a help bot that tells me at 5 every day and has a prescription that I can use to follow others. Everyone thinks I’m goofing off, but in fact I’m responding to all the followers that have followed me according to the hashtag topic that I’m in. Hootsuite is another great social media marketing tool online that helps you with all of your accounts. They provide a automated way to keep in touch with all your social markets. You can have 3 social media outlets for free, anymore and you will have to pay. It has it’s names worth when your looking for domain names for your online Marketing Strategies, I personally use this because of it’s inexpensive way to find account domain names. Namecheap is devoted entirely to domains for websites, so you won’t find any hosting services with them. Depending on who’s hosting your site, domain communication with the host can take 24 to 48 hours to connect. It may be cheap, but your paying for slow service. Godaddy is another domain naming tool that has a hosting side to it, you find a domain that you like and is available and they host it for you for a certain extra price. Godaddy works with wordpress to help you make that beautiful website that you can use to blog or market a service that you already provide. WordPress pretty much does the technical work for you, all you have to do is provide the title and content. Hostgator is similar to Godaddy in domain naming and host providing, their prices are similar, but hostgator has a far better interface than godaddy. Since Hostgator is quite similar to Godaddy, it is a matter of opinion and preferances. On the Email marketing side of Online Marketing, we have Mailchimp. Mailchimp gives you the opportunity to organize all those emails of people who are visiting your site, they provides up to 2,000 subscribers with totals emails of 12,000. Mailchimp is a great way to start your emailing marketing strategies online. They offer a free version without a auto responder and paid versions that let you auto respond to them all. Staying connected with those ones who want to hear you is very important to any Online Marketing strategies. Aweber is $19 dollars for 500 subscribers and the price goes up depending on how many subscribers you have. Aweber is very userfriendly and priced about the same as Mailchimp. They have a 30 free trial that requires a credit card, so you will need to make sure your making money before accepting a free trial. Aweber claims to have invented the auto responding device back in 1998 that has revolutionized email marketing. On the upside, they are very easy to use to set up emails. On the downside, triggering autoresponders based on user actions and purchases is a bit more complicated that with key competitors like Mailchimp. You can use quicksprout as a way to learn Online Marketing yourself with great articles and illustrations that take you step by step in building an Online Marketing Strategy that is extensive and efficient. Their help ranging from social marketing, to website design and online/offline marketing. You can get help by offering your website to be critiqued, he will tell you how much is wrong for free and will offer to help you with a fee. You can find a lot of free information relating to online marketing through AffiliateResources.org. Jay is the brainchild behind it and has helped so many people though Online Marketing. Now for the top 1 tool on the internet for web hosting, community support and online marketing that is possible. 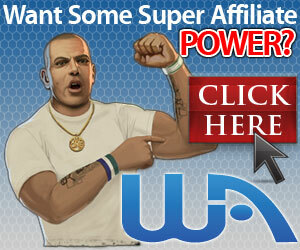 Wealthy Affiliates is by far the best Online Marketing Tool out there, with members that are quick to help. They provide a keyword tool, website hosting with wordpress and domain provider that sets you up with success. I’ve been a member of Wealthy Affiliates for over 2 years and I have found their community atmosphere to be enjoyable and extremely helpful. If you have a questions concerning Online Marketing, they have articles and video webinars about any relevant topic. For only 49 dollars per month, you get all of that and more. If you’re just curious, they offer a free account with no credit card necessary. They are so confident in what they provide, they let you try it for free. Check out my review on Wealthy affiliates, a community that pays it forward and believes in the ones they serve. Thanks for visiting, check out my social sites Google+,twitter and facebook. If you have any questions or comments, feel free to leave them below. I enjoy answering everyone. Previous Previous post: My Fourpercent Review, Is It Legit Or Scam? Next Next post: Learn How To Earn Money Online For Free, Some Basic Steps To Get There. Thanks for that info as WA is regarded as world class for the money, an affordable tag that cannot be stopped as marketers are using this as the best value based proposition and a excellent tax write-off. Best part of it all is, they are hosting and taking care of our sites for us so that we have no worries for years to come!